We can hardly wait to see you in the “Valley of the Volcanos” in Badacsony, in the international home of grapes and wines. When we can hear the word “Balaton” most of us think of only summer swimming and sunbathing, the flavour of fried breams and the typical Hungarian fried dough, called “lángos”, the bustle of the streets in daytime and the peace of the summer nights. But so many other things waits if you have a thorough look at the Balaton villages. 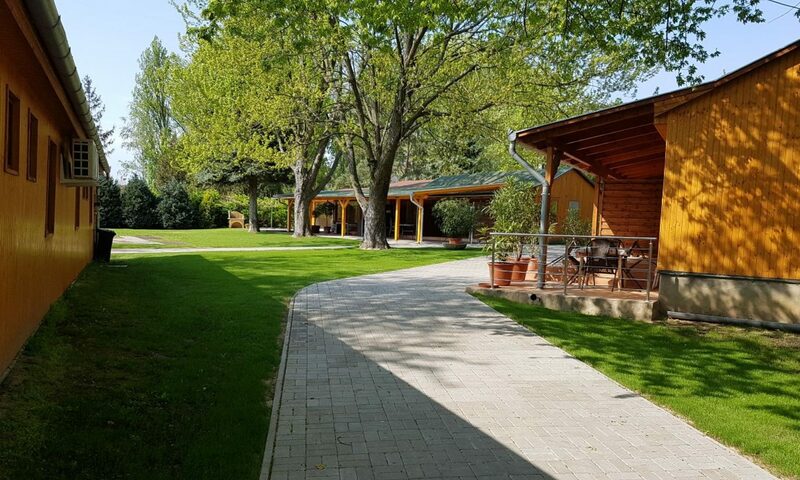 The “Tomaj Camping” is situated on the north coast of the Balaton, in Badacsonytomaj, right along the lake. The 3 hectare large territory of the holiday resort, which lies in a nature reserve, the plots divided in both shady and sunny places, the modern, comfortable lavatories and the neat environment mean the basis of a pleasant holiday. The wonderful environment makes its atmosphere unique. From the tiny, peaceful bay a picturesque view opens on the lake and on the mountains around which hide unique values of nature. The resort offers a camping site for 150 people, 35 bungalows and a private beach. In the three star level apartments there is a kitchenette, a colour TV, a fridge, a cooker, and a terrace belongs to each one. We hope you will spend your leisure time here pleasantly and you will leave with unforgettable memories and later you will recommend us to your friends and acquaintances.